Explanation: Three children of the Sun rise in the east in this peaceful dawn skyview recorded December 7th near Bolu, Turkey. Inner planet Mercury, fresh from its second transit of the 21st century, stands highest in the bright sky at the top right. Gas giant Jupiter lies below the cloud bank near picture center. 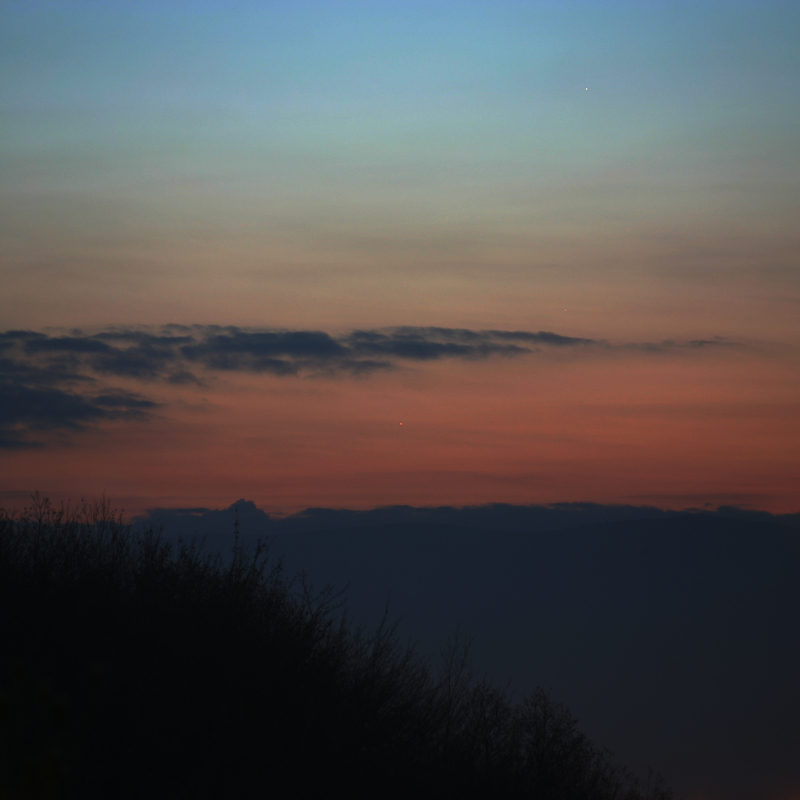 A newsworthy Mars is also visible, right of Jupiter and just above the dark cloud bank. 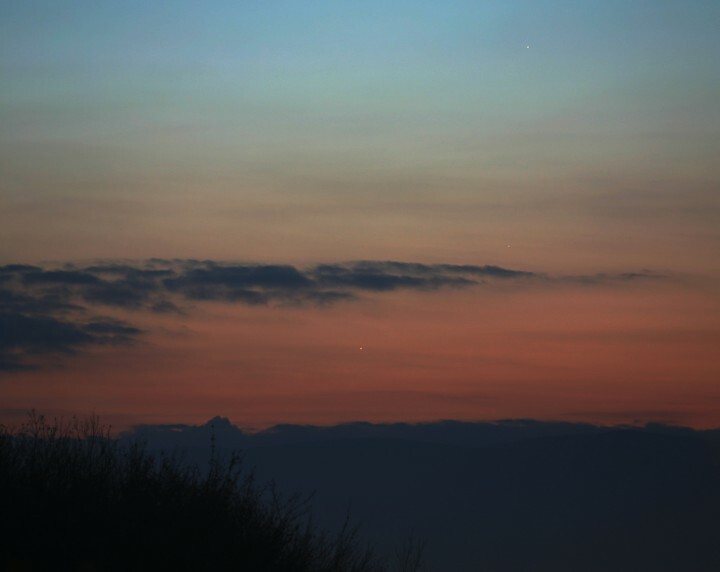 On Sunday, these planets will form a much tighter grouping before sunrise, while in the coming days the western sky after sunset will be ruled by brilliant planet Venus, also known as the evening star.